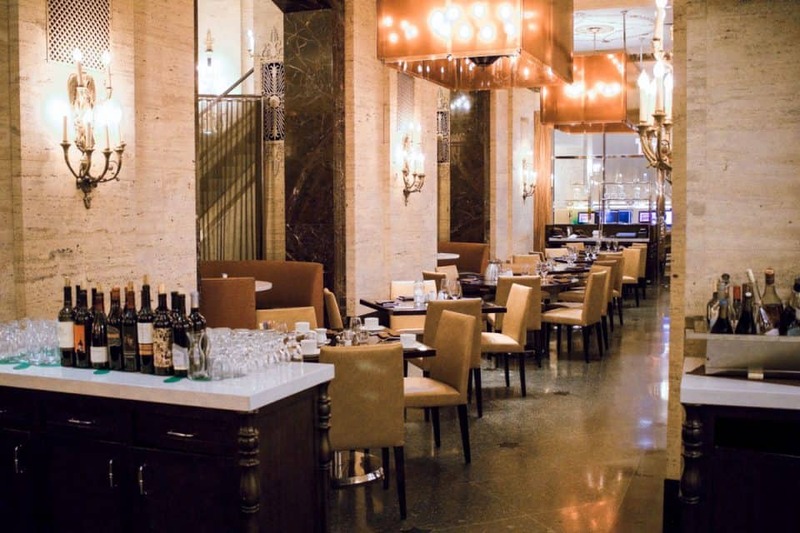 Experience a ‘Chillcation’ in Chicago with impeccable hotel service, great food and an upscale atmosphere at The Palmer House Hilton in Chicago. Located in the heart of downtown, it is the perfect destination for a weekend getaway. You can explore the streets for endless entertainment, amazing food, unlimited shopping, incredible architecture, and so much more. 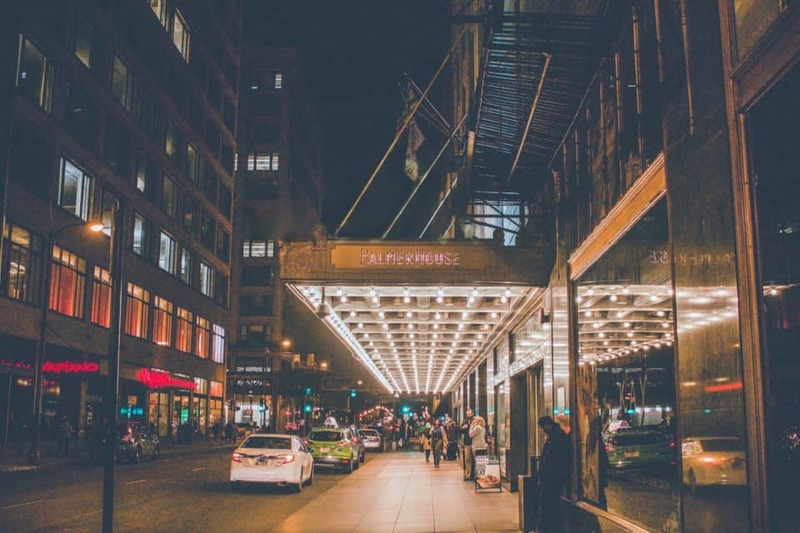 Read on to find out more about how Palmer House can make your stay relaxing and comfortable, as well as all the things you must do during your weekend in the Windy City. Here are some must-do’s during your trip to downtown Chicago. True Chicagoans still refer to Willis as Sears Tower. Standing at 110 stories and 1,450 feet, it was known as the tallest building in the world for almost 25 years. Over 1 million people visit the observation deck known as “Skydeck” yearly, marking it as one of the most popular tourist destinations in Chicago. You can see far across Lake Michigan to Indiana, Michigan & Wisconsin on a clear day, and will experience the swaying of the building on a windy day. If you have the stomach for it, test out the retractable glass balconies, which extend about 4 feet from the 103rd floor, overlooking South Wacker drive. The all-glass boxes known as “The Ledge” allow you to look through the glass floor down to the street 1,353 feet below; it is truly an experience, but not for the faint of heart! Everyone knows Chicago Style pizza is a must when you’re in the Windy City. After hitting up the Willis Tower, grab Chicago’s Famous Stuffed Deep Dish Pizza. Locals will tell you that Lou Malnati’s and Giordano’s are arguably the best, and Giordano’s is located right across the street from Willis. You’ll be stuffed from pizza, but you can’t miss the chance to grab the best popcorn in Chicago! Since 1949, Garrett’s has been handcrafting delicious popcorn, made fresh daily. When locals asked for a combination of sweet and salty, they came up with the Garrett Mix: the perfect blend of CaramelCrisp® and CheeseCorn recipes. It is the most popular flavor and a consistent favorite. 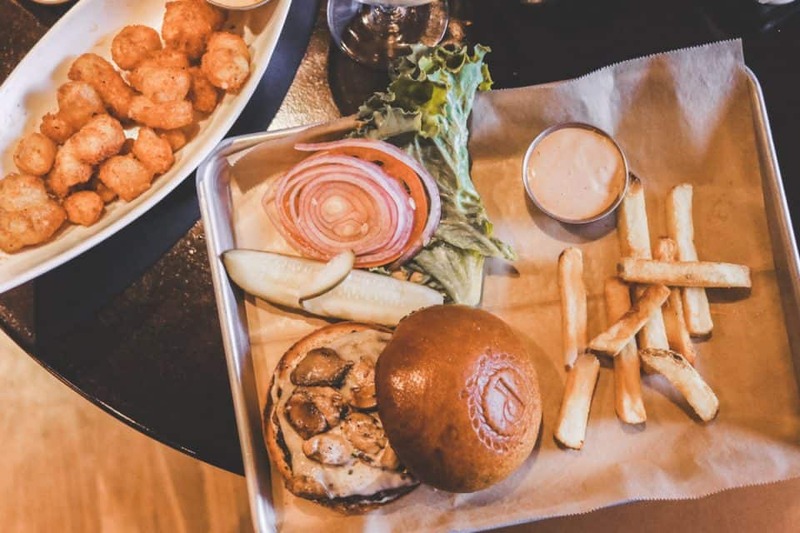 After a day of traveling and getting acquainted with the city, enjoy a burger, fries with house made sauces, handcrafted cocktails, salads and a boozy shake at Potter’s, conveniently located on the Lobby Level of Palmer House. 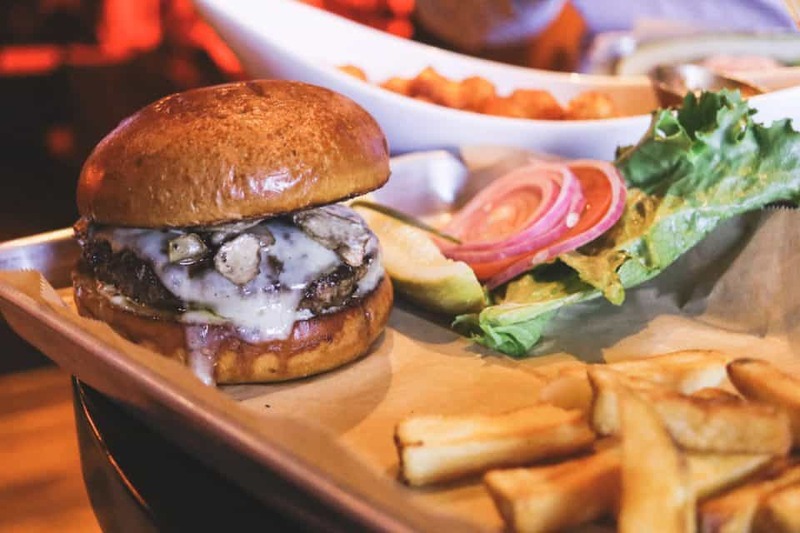 With a burger menu that offers you a taste profile of Chicago’s favorite neighborhoods, Potter’s will take you on a journey across the city. 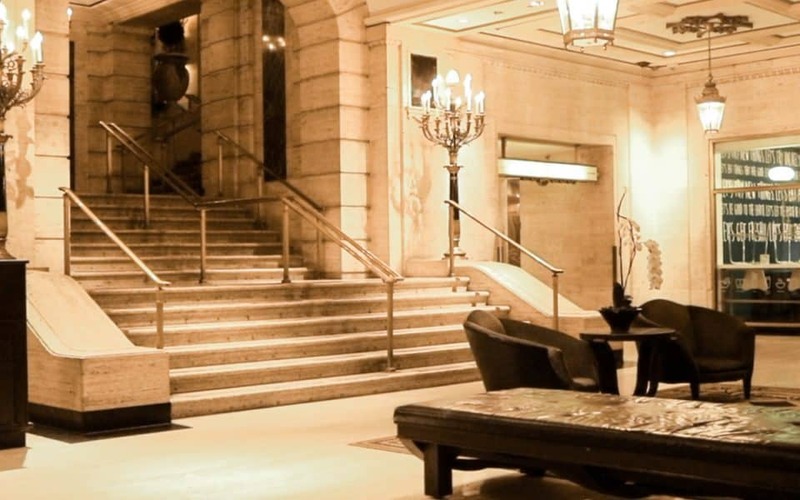 Enjoy a night cap in Palmer’s beautiful and historic lobby. Relax with a cocktail or glass of wine while people watching and soaking up the gorgeous setting and ornate decor. If you’re there over St. Patrick’s Day weekend, the lobby is festive with green lights and live music. If your blood runs green with Irish pride, celebrate like the Chi-rish for St. Patrick’s Day weekend. As one of the oldest cities with the most established Irish American heritages in the country, Chicago offers a St. Patrick’s Day experience like no other. 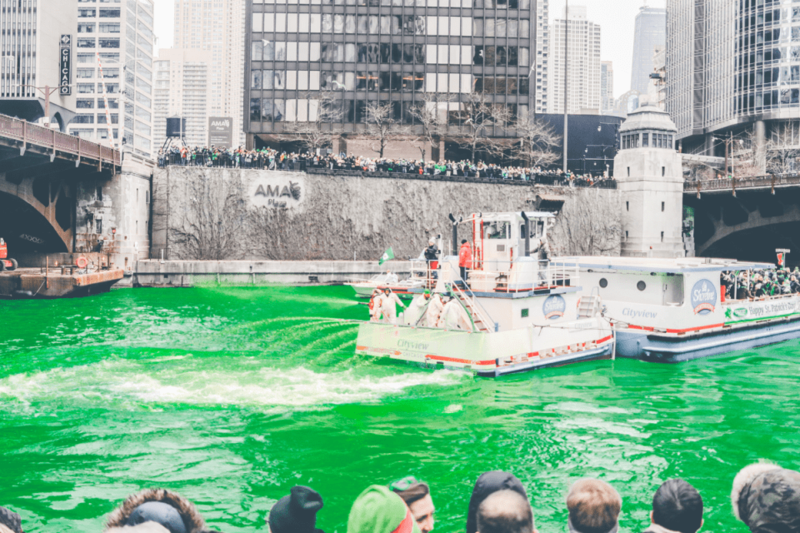 Palmer House is conveniently located a short walk from the Chicago river— which they annually dye green for St. Patrick’s Day, and the St. Patrick’s Day Parade— one of the largest St. Patrick’s Day Parades in the country. They perform these celebrations the Saturday before St. Patrick’s Day, or on St. Patrick’s Day, if it falls on a Saturday. Pro Tip: If you want prime spots to see the action up close, choose between the Chicago River dying OR the St. Patrick’s Day Parade and get there early. Fuel up for a festive day with continental breakfast in the Executive Members lounge. With a beautiful spread of food, you can choose anything from fresh fruit, bagels and juice, to eggs, pastries and hot breakfast options. 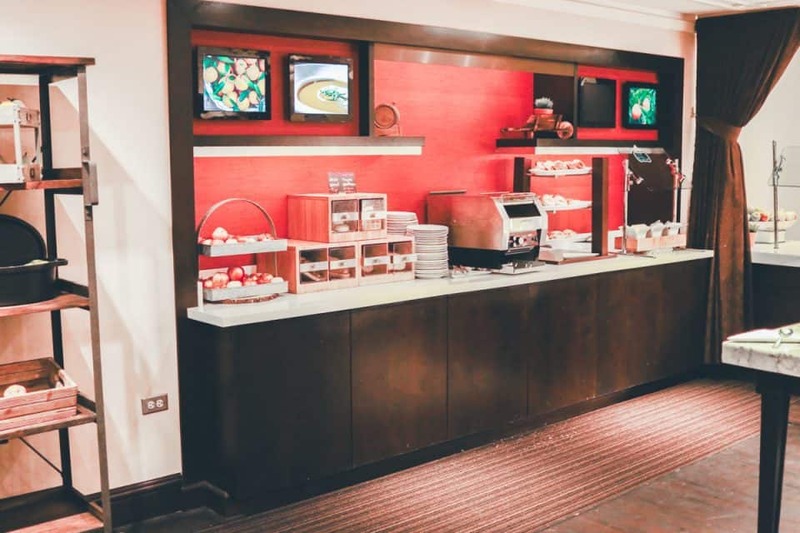 Enjoy your food in the lounge area with large TVs before you head out the door. Grab a hot coffee on your way out the the festivities. Located at street level in Palmer House, it’s right on your way out the door and will keep you nice and warm. Alternatively, fill up your Chillcation insulated mugs with coffee or hot cocoa! If you want to get a good spot to see the river being dyed, you’ll want to be out of bed and on your feet early so you have time to get ready and enjoy your breakfast. 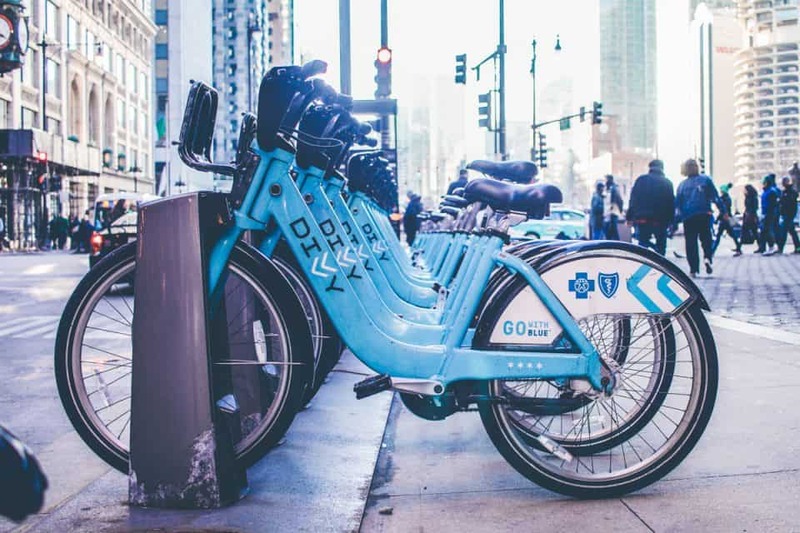 The best place to secure a spot is from the east side of the bridge at Michigan Avenue, or on Upper and Lower Wacker Drive between Columbus and Lake Shore Drives. 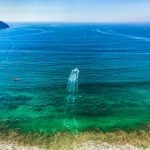 The event starts promptly at 9am, when boats begin trolling the waters with they dye. They spray the river with powdered, vegetable-based dye, which is actually orange until it mixes with the water. The whole process takes about 45 minutes before the entire river is a bright emerald hue. 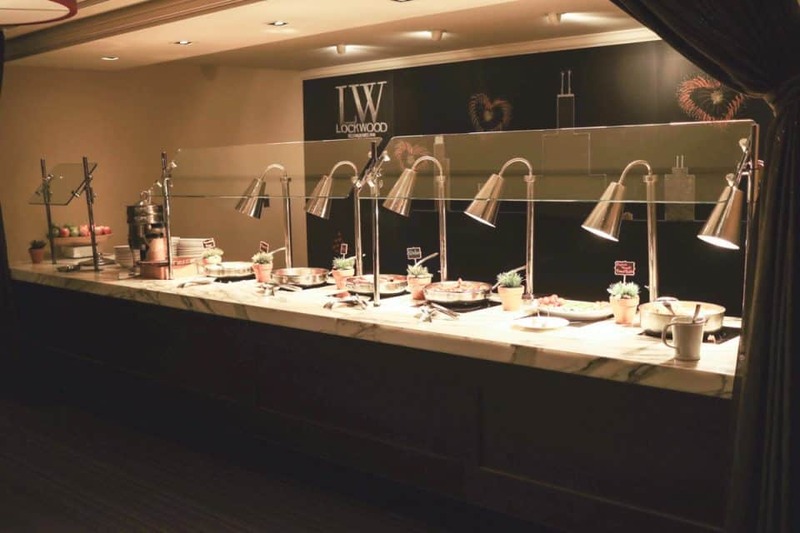 If your plan is to catch the parade, you can enjoy a brunch at Lockwood Restaurant in the Lobby Level of Palmer House. 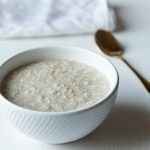 With festive St. Patrick’s Day options, you can enjoy a delicious traditional Irish breakfast or indulge in the quintessential St. Patrick’s Day meal of corned beef and cabbage. Clink your mimosa glasses together for a toast and enjoy the start to a fun-filled holiday. The parade kicks off with bagpipes at noon in Grant Park. The parade begins at the intersection of Columbus and Balbo Drives at noon, continuing north of Columbus up to Monroe Stree. The main viewing stand is situated in front of Buckingham Fountain, where the bands and dances stop to wave to onlookers. Since the parade is so close to Palmer House, we suggest walking to avoid traffic. Cloud Gate: Continue your day with a short walk to Millennium park to see the famous Cloud Gate, more commonly known as the “The Bean.” Inspired by liquid mercury, the 110-ton elliptical sculpture is made up of a mirror-like surface which invites guest to see their image reflected— Beneath the structure is a 12-foot-high arch, which provides even more interesting reflections from a variety of perspectives. McCormick Tribune Ice Rink: Have a romantic skate in the McCormick Tribune Ice Rink during the winter season. Decked out with twinkling tree lights and the Chicago skyline backdrop, the iconic ice rink is something you’ll definitely want to experience. The rink is open mid-November to early March, weather permitting. 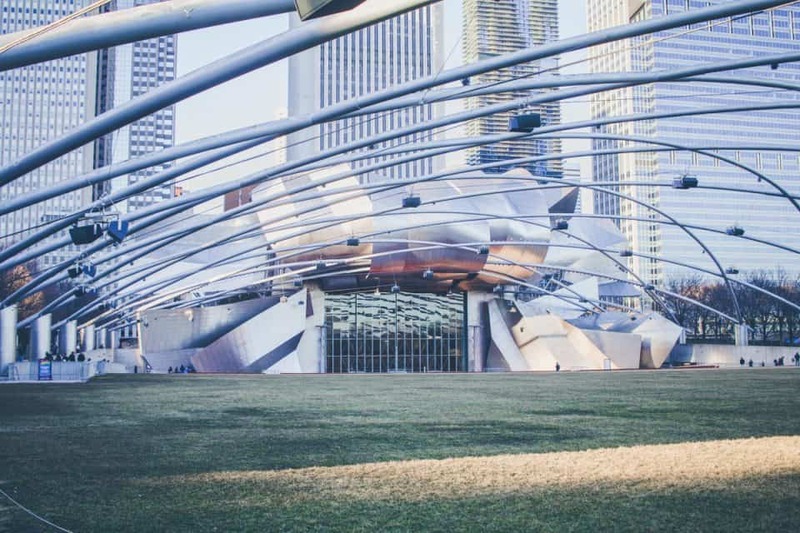 The Pavilion: Situated adjacent to the Bean is the Jay Pritzker Pavilion, Millenium Park’s revolutionary outdoor concert venue. Designed to mimic the acoustics of an indoor concert hall, the state-of-the-art sound system is the first of its kind in the country. With the trellis of crisscrossing steel pipes, the enhanced sound is distributed equally over both the fixed seats and the Great Lawn. Crown Fountain: Two 50-foot glass block towers project video images of Chicago citizens— inspired by the traditional use of gargoyles in fountains, sculpted with open mouths to allow water, a symbol of life, to flow out. The towers spout out water into a shallow reflecting pool, but you’ll have to come back mid-spring to mid-fall to enjoy the fountain’s water features. 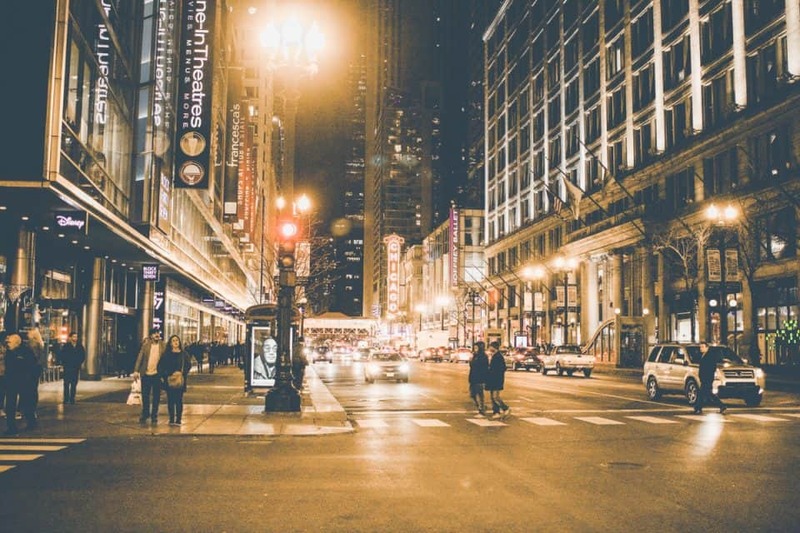 Head over to the “Mag Mile,” for the best shopping in the city. With more than 460 retailers, you can experience endless shopping— everything from popular brands, major department stores, international luxury brands. See things like the historic Water Tower and the Hancock while exploring the streets. If you love tacos, you have to hit up Velvet Taco. With over twenty different varieties, you’ve never experienced mouthwatering tacos like these. Options include everything from Spicy Tikka Chicken to Nashville Hot Tofu, so there is truly something for everyone. When you’ve finished enjoying the Magnificent Mile, treat yourself to an upscale dinner at Morton’s Steakhouse. 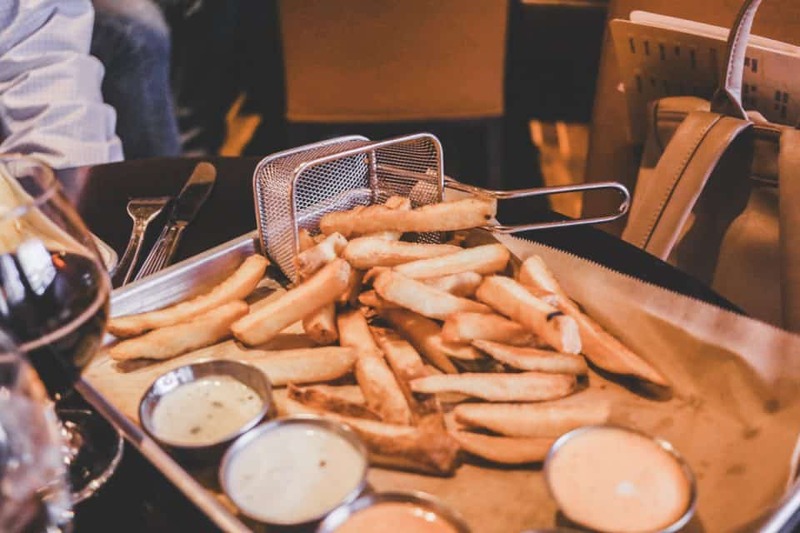 Widely regarded as the best place for prime steak, Morton’s provides excellent hospitality as well as delicious food that will not disappoint even the toughest critic. We highly recommend seeing a performance while in Chicago. 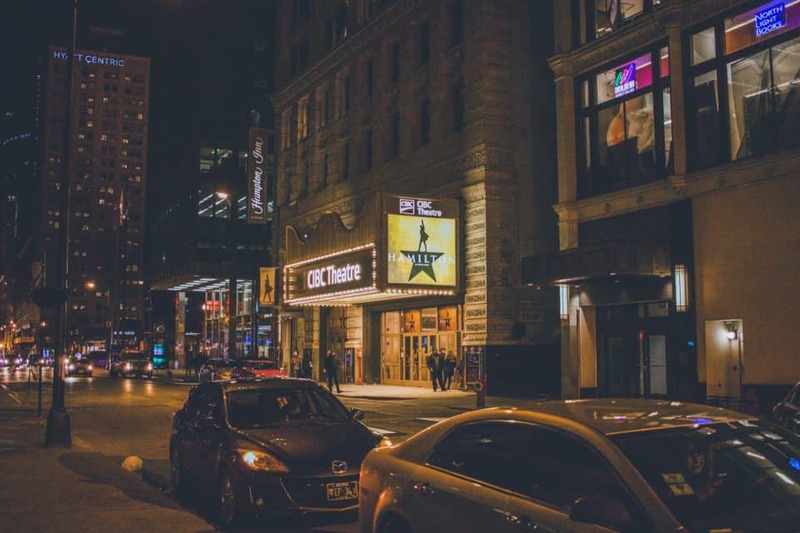 Hamilton is currently playing at the PrivateBank Theatre in Chicago, a short walk from Palmer House. The hip-hop musical has won many prestigious awards, including Best Musical for its fresh, innovative, and captivating performance. Tickets for Hamilton are available through September 2, 2018. Get yours before they’re sold out! If you’re looking to go out for an excellent breakfast, hit up Wildberry Pancakes and Cafe, located near Palmer House. Wildberry provides breakfast and lunch, featuring local farm fresh ingredients and fresh baked breads. After breakfast, take a break from the busy city life and walk over to the lakeside. 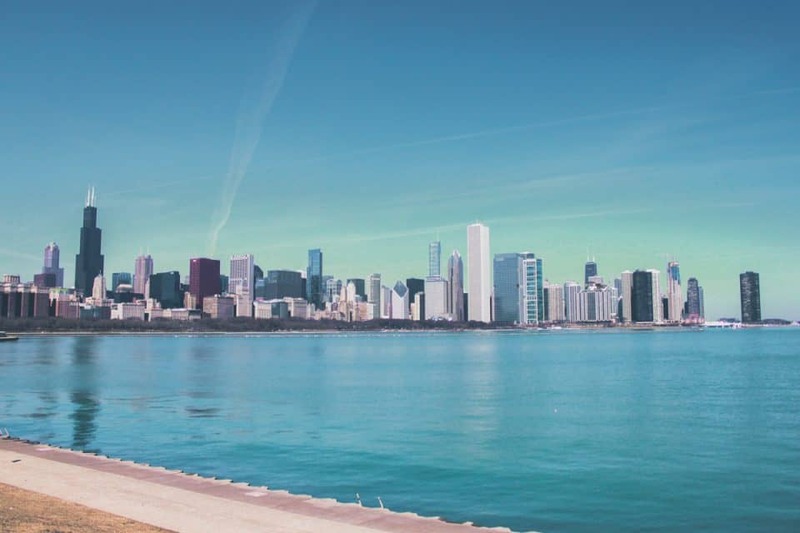 Head south along Lake Shore Drive for breathtaking views of Lake Michigan while marveling at the bright blue waters and serene lakeside atmosphere. 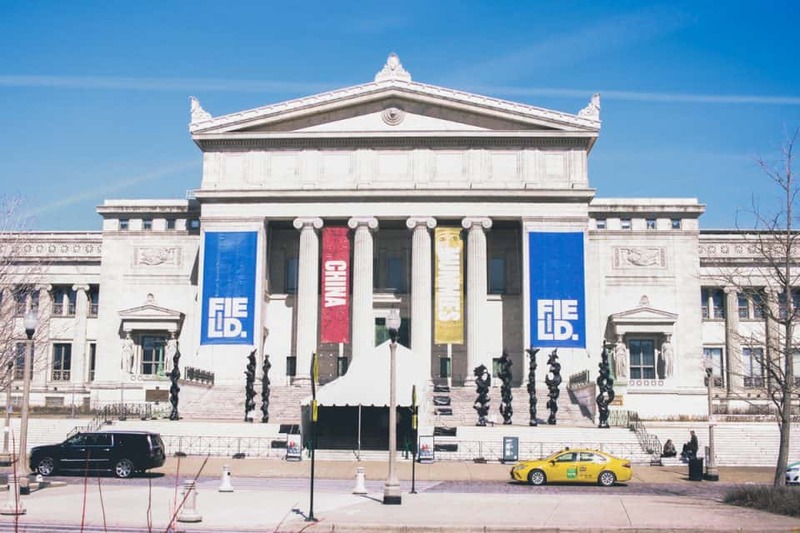 Field Museum is one of the largest natural history museums in the world. Regarded as the premier natural history museum through the size and quality of its educational and scientific programs, there is so much to do and see at Field. 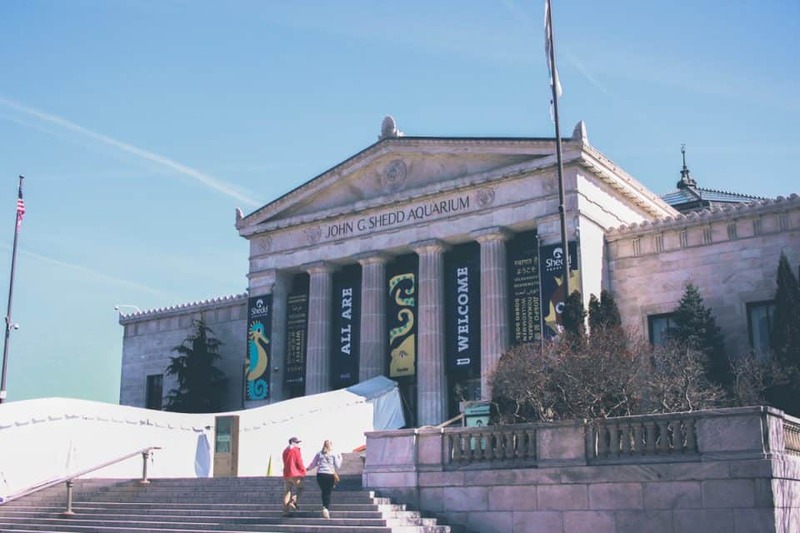 Shedd is one of the world’s largest indoor aquariums. From shark feeding tours to penguin encounters, Shedd offers you the opportunity to experience sea life in a unique and fascinating way. 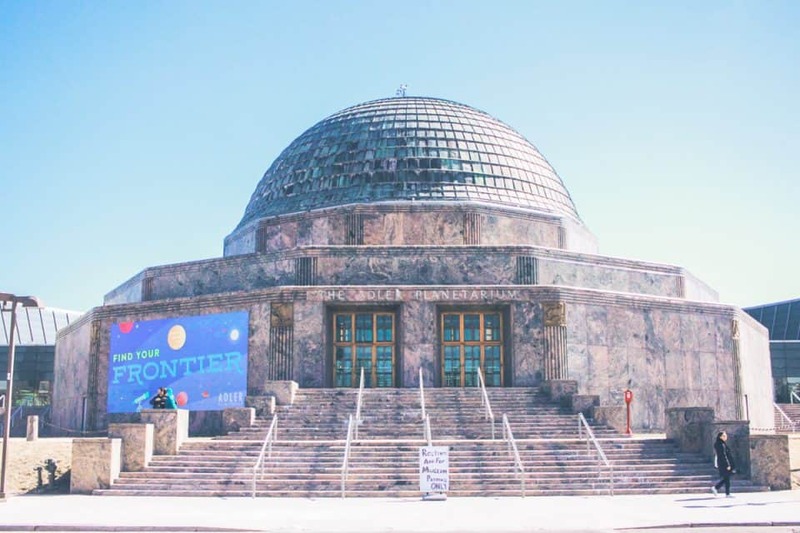 Adler Planetarium is America’s first planetarium, dedicated to the study dot astrophysics and astronomy. It offers three full size theaters, extensive science exhibitions, and antique scientific instruments. Pro Tip: For the best view of the skyline, lakeside next to Adler Planetarium. You won’t want to miss this exceptional photo opportunity! 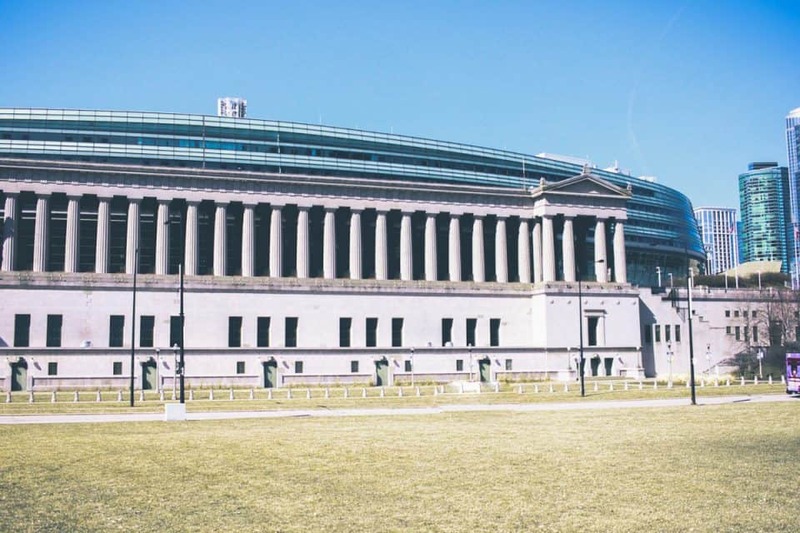 Home to the Chicago Bears football team, Soldier Field is a memorial to U.S. fallen soldiers. It was the oldest stadium in the league until 2016, when the Los Angeles Memorial Coliseum (which opened a year earlier) was used as a temporary field. Located in the heart of downtown Chicago, Palmer House Hilton was built in 1871 by Potter Palmer. Potter Palmer was a wealthy and influential Chicago businessman known for his significant role in developing Chicago’s iconic State Street downtown. When Potter was introduced to Bertha Honoré by Potter’s former business partner, Marshall Field, a romance began and they were eventually engaged. This romance led to one of the most magnificent wedding gifts in history— the Palmer House. The grand hotel was destined to stand among the most luxurious hotels in Chicago, but 13 days after its grand opening, the Palmer House was tragically destroyed in the Great Chicago Fire of 1871. It took 2 years, determination, and a $1.7 million loan, negotiated on Potter’s signature alone, but the new Palmer House was reopened on November 8, 1873. The day marks the opening of what would become the nation’s longest continually operating hotel. By the turn of the century, the Palmer House was known as Chicago’s liveliest centers for social gatherings. It hosted an impressive list of prominent figures, including Charles Dickens, Oscar Wilde, and U.S. presidents. The Golden Empire Dining Room was converted into a central point for entertainment in 1933, hosting legendary entertainers like Frank Sinatra, Judy Garland, Ella Fitzgerald, Harry Belafonte, Louis Armstrong and Liberace, among many others. Bertha Palmer befriended Claude Monet in France, and began decorating the Palmer House with paintings inspired by her French heritage. Over time, she eventually accumulated the largest collection of impressionist art outside of France. The Palmer House also boasts of garnet-draped chandeliers, Louis Comfort Tiffany masterpieces and the marvelous ceiling fresco by French painter Louis Pierre Rigal. 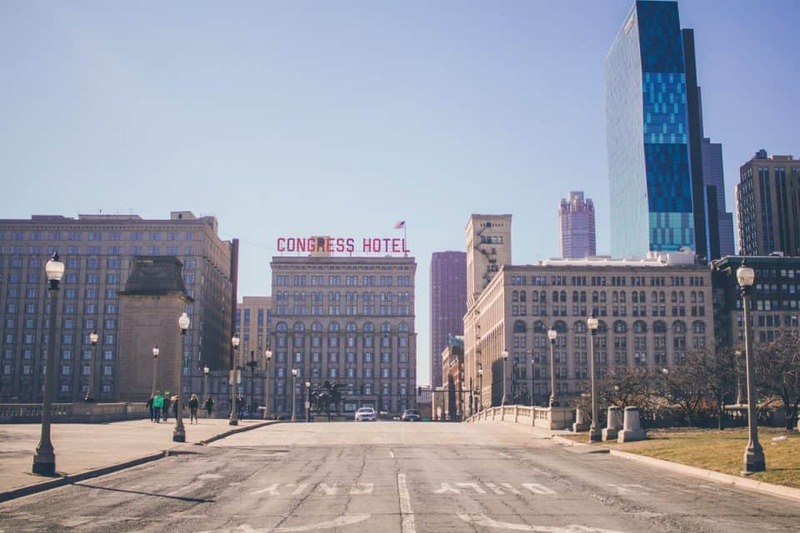 The historic Chicago hotel has recently undergone a $170 million renovation to bring the comforts and conveniences on the 21st century while still preserving the historic value and attributes that makes Palmer so special. Palmer House offers a range of room options and accommodations so you can customize your experience based on your needs. 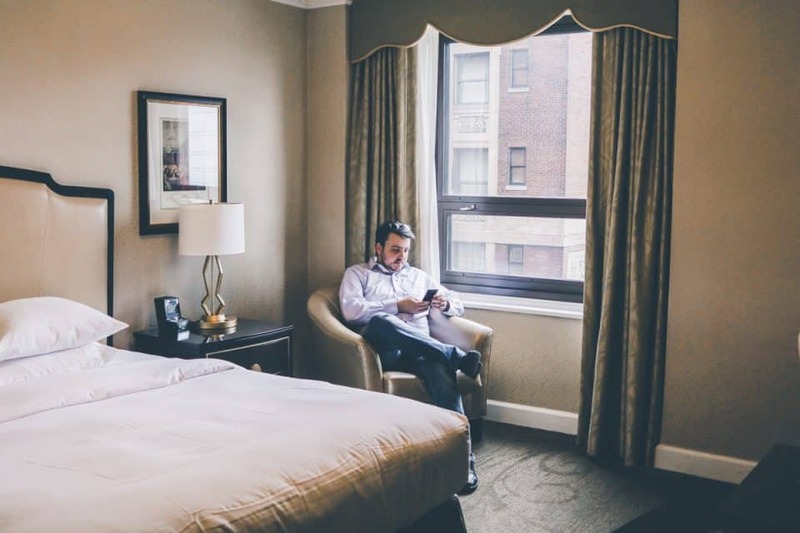 Beautiful guest rooms (all non-smoking) offer the modern conveniences and technology to make your stay as comfortable as possible. The extraordinary Suites give you the room and comfort you need during your stay in downtown Chicago. They feature parlor and dining areas as well as a Libation Station, making the suite perfect for entertaining and ultimate relaxation. The exquisite Executive Level Rooms offer private elevators with key card access. 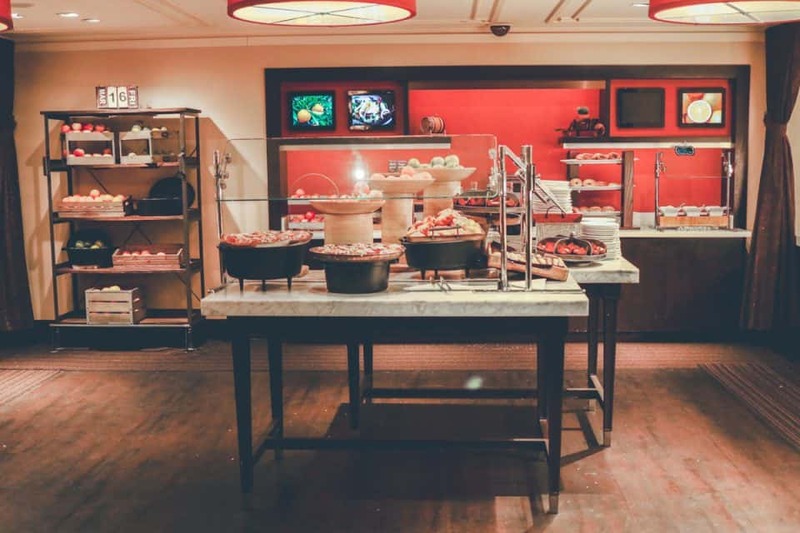 Exclusive accommodations include complimentary continental breakfast, evening hors d’oeuvres, non-alcoholic beverages with the options to order libations from a full bar. 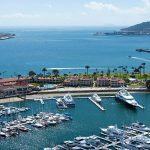 You can also utilize private check-in services as well as dedicated concierge. Executive Level offers everything you could want for an upscale and luxury hotel experience. Palmer House features an on-site Spa, as well as a full-service, three-level Health Club. 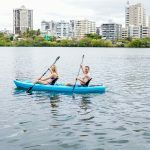 With everything from cardio machines and free weights to an indoor pool and jacuzzi, you can be sure to keep up with your fitness while you’re away from home. The spa features massages and facials, so you can relax and replenish during your stay. If you’re into fitness, don’t let your hotel visit deter you from keeping up with your workouts. There is 5,000 square feet of workout and class area on three interconnected levels. Featuring New Preva™ by Pre-Cor® cardiovascular machines, signature series resistance training circuit, and free weights, you have everything you need to create a personalized workout at Palmer House. Finish up your workout by relaxing and unwinding in the indoor jacuzzi and pool. If you want to step up your fitness with personal training, you can get a customized workout and nutrition program from trainers and experts to help you meet your goals. Palmer House offers 30 minute Express Sessions or One Hour Sessions so you can design a plan based on your needs. Located on the 5th floor, The Spa at Palmer House offers a full service menu for the ultimate spa experience. Your stress will melt away with therapies that are infused with the principles based on yoga and Chinese medicine, created by Balanced Flow Wellness experts. With a blend of wellness and modern holistic beauty, there’s something for everyone in this 8,000 square foot oasis. In addition to being an exceptional hotel, Palmer House Hilton is dedicated to improving their performance toward a sustainable future. They responsibly recycle paper, glass, metals, plastics and cardboard, while the use of Styrofoam is no longer used. 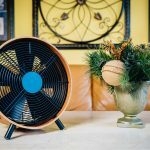 They are consistently working toward waste reduction and the conservation of energy and water. They have a roof top garden featuring vegetables and herbs as well as bee hives for fresh honey to be used in their outlets. They implemented a compost program in 2011 by partnering with Waste Management to turn food scraps, kept separate from trash, to be turned into compost at their plant. 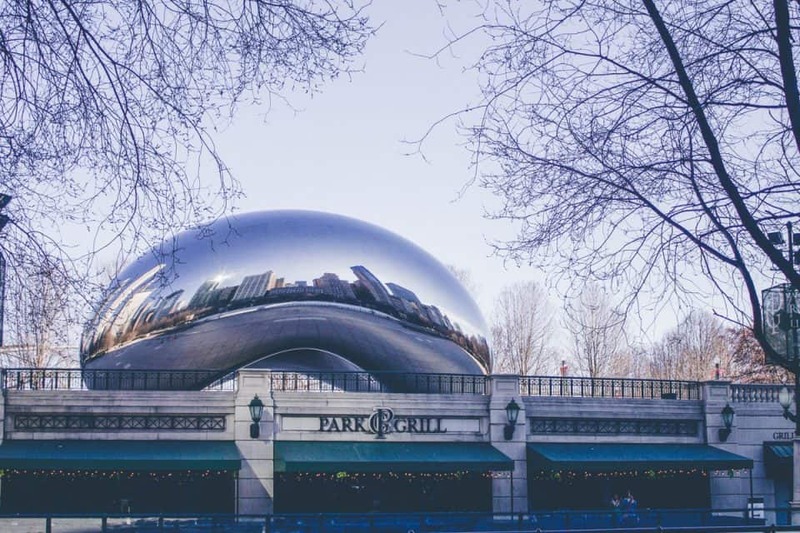 No matter what you choose to do in the Windy City, Palmer House Hilton is the perfect destination for a weekend in Chicago. 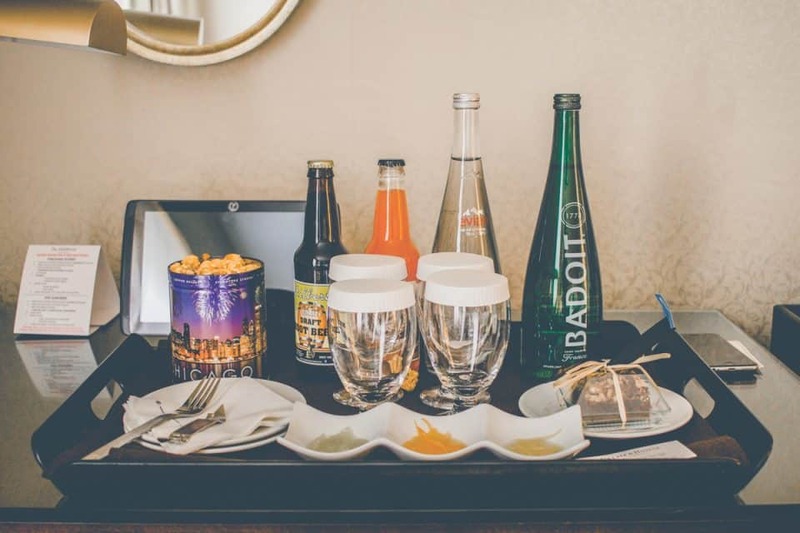 Their hotel service is exceptional, making your stay as comfortable and relaxing as possible so you can get the most out of your stay in the city. 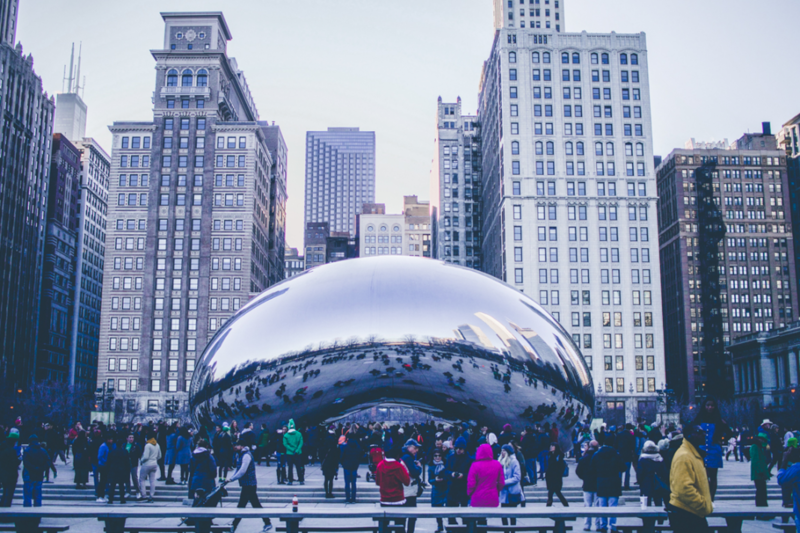 Chicago has so much to offer and we’re certain you’ll fall in love— you’ll be planning your trip back before you even leave! 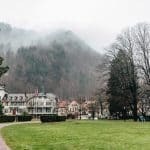 If you liked this post, be sure to check out our Travel section, which offers tons of travel inspiration, tips and destinations.